We’d love your help. Let us know what’s wrong with this preview of The Essential Instant Pot® Keto Cookbook by Casey Thaler. Eating keto has never been easier, thanks to the Instant Pot®, an electric multicooker that can sauté, bake, slow cook, and pressure cook healthy, flavorful meals. Perfect for all The two hottest trends in wellness made deliciously easy! 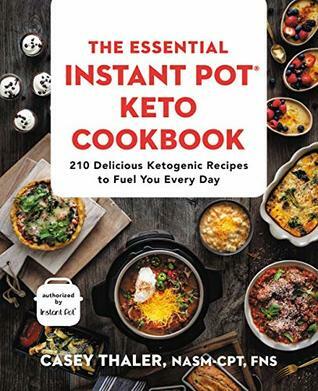 Personal trainer and fitness expert Casey Thaler provides 210 ketogenic recipes for every meal of the day-fully endorsed by Instant Pot®. 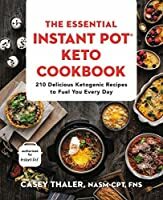 To ask other readers questions about The Essential Instant Pot® Keto Cookbook, please sign up. Okay, just a lot of the same old, same old recipes - I can find most of them on Pinterest.